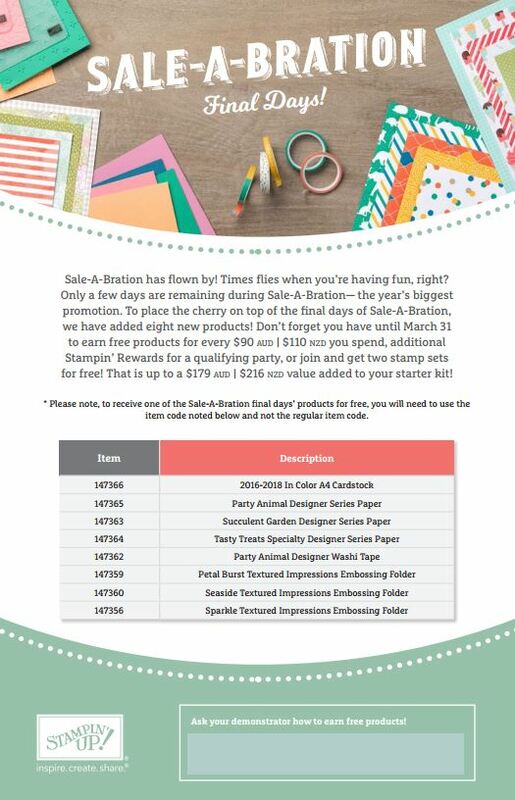 As we near the end of the Sale-A-Bration period, Stampin’ Up! 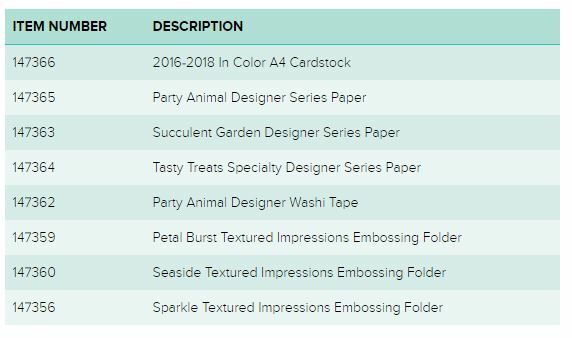 have released 8 more options for you to choose as Sale-A-Bration rewards. See the list below. I’m doing an order tonight, so if I can add anything for you, please let me know! If you’d like to shop online, please visit my online store. Use the host code: BCXWWYKA to qualify for another free gift from me!